Viacom International Media Networks (VIMN) Northern Europe has announced the exciting news that Nickelodeon Germany (Deutschland) has picked up the broadcast rights to Yu-Gi-Oh! Arc-V, the fourth main spin-off series in the popular Yu-Gi-Oh! franchise! Nickelodeon Germany will start to premiere and show Yu-Gi-Oh! Arc-V every Saturday at 10:50 Uhr from Saturday 25th June 2016, beginning with episode 50 (season 2, Episode 1). The timeslot is currently occupied by Yu-Gi-Oh! ZEXAL, which will conclude on Saturday 18th June 2016. ProSieben Maxx, the channel that originally debuted Yu-Gi-Oh! Arc-V in Germany in March 2015, are currently encoring season one weekdays at 16:30 Uhr. Season one also currently airs Sundays at 10am ET/PT on Nicktoons USA. Yu-Gi-Oh! Arc-V takes place in the near future place called Paradise City where Leo Corporation creates new advancements to Solid Vision that gives life to Duel Monsters. New advancements to Solid Vision give physical mass to monsters, environments, and allow players to interact directly with them. It also gives birth to challenging Action Duels. Action Duels allow duelists to traverse environments to locate Action Cards to help them in a pinch. The story follows Yuya Sakaki who is a second year middle school student at Paradise City's You Show Duel School. Yuya's father, Yusho Sakaki, disappeared three years ago when he was scheduled for a Duel against the Action Duel Champion and was deemed as a coward who ran away. To clear his father's name, Yuya faces off against the current Action Duel champion and awakens a new power from his pendant known as Pendulum Summoning. Yuya strives to master the art of Pendulum Summoning to become a great Dueltainer like his father. Yuya met a mysterious black masked Duelist who greatly resembles him named Yuto, who reveals that the world is split into four dimensions. Three of the dimension names come from the summoning methods used in the respective world. The names of the dimensions are Fusion, Synchro, Xyz, and Standard, which is the center of the four dimensions where Yuya lives in. Yuya and his friends become involved in the interdimensional conflict after Duelists from Duel Academy of the Fusion Dimension invade the Arc League Championship. Duel Academy Duelists turn several Duelists into cards under orders from Leo Akaba, Declan's father whose ambition is to unite the four dimensions. Declan forms the Lancers, a group of elite Duelists capable of fighting Duel Academy with Duelists selected based on the result of the championship to stop Leo. Following the disappearance of Yuya's childhood friend, Zuzu Boyle, during the championship, Yuya and the other Lancers go to City of Synchro Dimension in hope to gain allies before Duel Academy invade it. To prove their worth as Duelists to the people of Synchro Dimension, the Executive Council of City signed them into Friendship Cup where Duelists compete in Turbo Duels for the right to challenge the Duel King, Jack Atlas. Yu-Gi-Oh! Arc-V is the newest Yu-Gi-Oh! anime series inspired by Kazuki Takahashi's original manga. Yu-Gi-Oh! Arc-V will join Nickelodeon Germany's anime programming line-up, which also includes Pokémon and Yo-kai Watch. Original source: Anime2You; Additional sources: Wikipedia Deutschland, Wikipedia (II), Anime News Network: UK; H/T: Nick News Deutschland. To celebrate Nickelodeon USA reaching one million followers on Instagram, Nick has unveiled a super top secret sneak-peek preview of "Danger & Thunder", a brand-new super-powered hour-long crossover special in which Max and Phoebe Thunderman from Nickelodeon's The Thundermans team up with Kid Danger and Captain Man from Henry Danger, which Nickelodeon USA will be premiering very soon! Follow NickALive! on Twitter, Tumblr, Google+, via RSS, on Instagram, and/or Facebook for the latest Nickelodeon and The Other Kingdom News and Highlights! 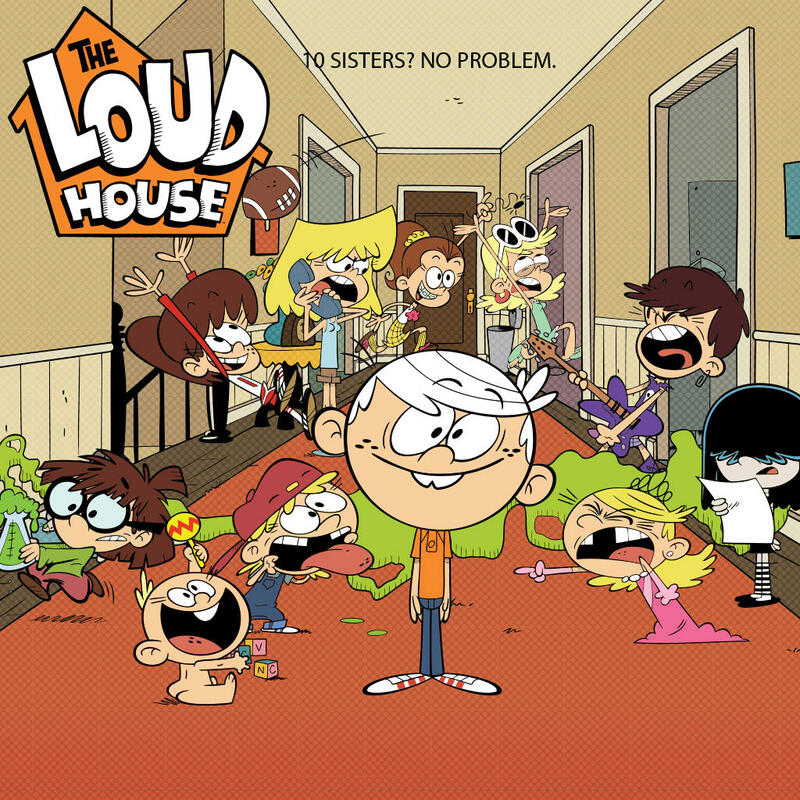 Nickelodeon Spain has announced the exciting news in a trailer, below, that Nickelodeon Spain and Nickelodeon Portugal (collectively known as Nickelodeon Iberia) will start to premiere and show Nickelodeon's brand-new animated series The Loud House from Monday 16th May 2016! Nickelodeon Portugal will debut the series premiere of Loud em Casa at 19:40, and Nickelodeon Spain (Espana) will premiere the first episode of Una casa de locos at 20:40! 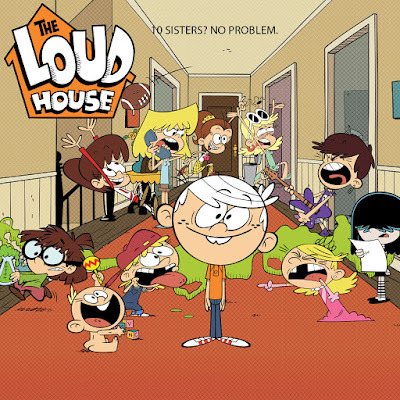 10 sisters and one brother bring a whole lot of havoc in Nickelodeon's newest animated comedy The Loud House! 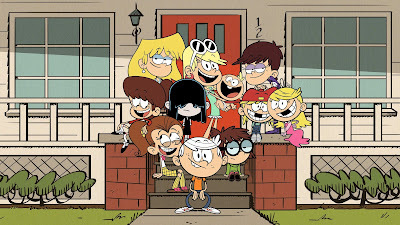 Inspired by creator Chris Savino's life growing up in family of 10 kids, the 26-episodes series follows Lincoln Loud and his 10 sisters as he gives an inside look at what it takes to survive the chaos of a huge family. In the premiere episode "Left in the Dark," Lincoln wants to watch the finale of his favorite show, but in order to do that, he must beat each sister to the couch first. Then, in "Get the Message," after Lincoln leaves a scathing voicemail on sister Lori's phone, he realizes he has to erase it before she hears it. 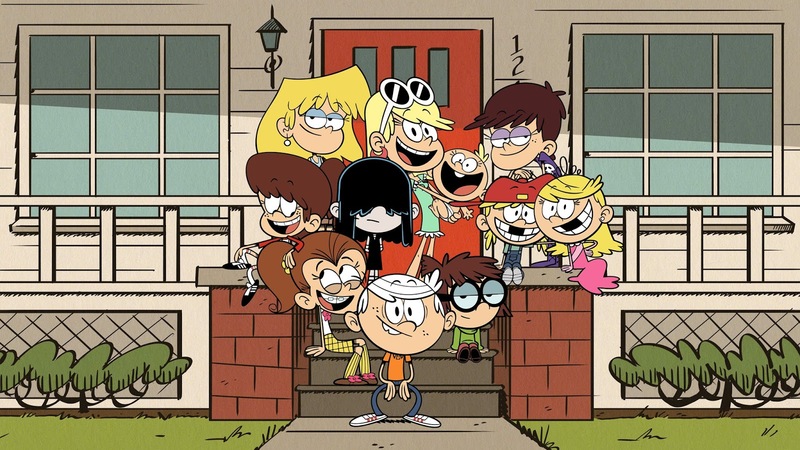 The Loud House is produced by Nickelodeon Animation Studios in Burbank, Calif.
To celebrate Nickelodeon Iberia debuting The Loud House from Monday 16th May 2016, Nickelodeon.es and Nickelodeon.pt have unveiled unveiled their all-new official The Loud House show websites to accompany the brand new series, which feature information about Nick's brand-new animated series, character bios for Lincoln, Clyde, Lori, Leni, Luna, Luan, Lynn, Lucy, Lola, Lana, Lisa, Lily and Bobby, and a Nick Spain's Una casa de locos teaser trailer! Cardiff City Stars David Marshall And Craig Noone Get Pelted With Pies In Brand-New Episode Of "Nick Kicks"
Cardiff City stars will be hoping they don't have egg on their faces at Hillsborough on Saturday 30th April 2016 - after two of their top stars were covered in pie! 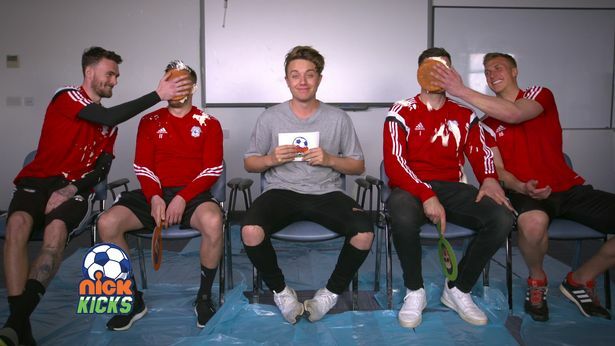 The Bluebirds face a play-off crunch against Sheffield Wednesday but there have been hijinks ahead of the business end of the campaign, with players taking part in a Team Mates challenge on Nickelodeon UK's kids football highlights show, Nick Kicks! Skipper David Marshall and fans' favourite Craig Noone were asked a series of questions by Nick Kicks' presenter Roman Kemp to establish how well they know each other. If their answers were at odds they were punished with a pie in the face from colleagues Scott Malone and Simon Moore. Though the pair started well, with Noone even admitting Marshall was the better looking to avoid any messiness, things soon took a turn for the worse. By the end they had been pied a total of seven times with Malone even getting himself covered when slamming one slightly over-enthusiastically into Noone's face! The episode will air on Nicktoons UK & Ireland on Saturday 30th April 2016 at 8:00am, before the Bluebirds travel to Sheffield backed by a legion of fans in their must-win match in the race for the play-offs. Boss Russell Slade will hope there is similar cause to smile at the final whistle. Nick Kicks was launched earlier this year after the announcement of a partnership between Nickelodeon and the Football League. The 22-minute long programme features match highlights covering all 72 clubs of the Football League, and will run until the end of this season as well as across 2016-17 and 2017-18 seasons. In total, Nickelodeon UK & Ireland has committed to producing over 100 episodes of the series across the three seasons. Alison Bakunowich, vice president, head of editorial at Nickelodeon UK and Ireland, said: "Nick Kicks is going to be funny and will give fans a unique look at their favourite clubs and players." Did you hear? Nick Kicks presenter Rachel Stringer recently ran the 2016 Virgin Money London Marathon, raising over £500 for charity! Tune into Nick Kicks every Saturday morning at 8am on Nicktoons UK & Ireland for more Football fun! Check out nicktoons.co.uk/nickkicks and the award-winning Nick Play app for more footie-tastic videos, behind-the-scenes content, polls, quizzes and games! A schoolboy from Harlow's funny impression of Nickelodeon superstar SpongeBob SquarePants' iconic laugh has landed him an appearance on Nicktoons UK & Ireland! 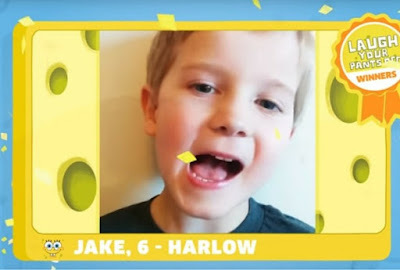 Six-year-old Jake entered Nickelodeon UK's "Laugh Your Pants Off" competition to find the best impressionist of the iconic Nickelodeon character's signature giggle. Jake's impression impressed judges enough for him to be crowned one of 24 winners from 1,200 entries! Jake will now be the envy of his school friends as he is set to appear on Nicktoons UK & Ireland over the early May bank holiday weekend from Saturday 30th April until Monday 2nd May 2016, from 11am-2pm and again from 7pm-10pm, and collect Sponge-Tastic prizes. A big congratulations to Jake, Shaun and all the winners of Nickelodeon's "Laugh Your Pants Off" contest! Original source: Harlow Star; Additional source: Google. A Staines-upon-Thames schoolboy's funny impression of Nickelodeon superstar SpongeBob SquarePants' iconic laugh has landed him an appearance on Nicktoons UK & Ireland! 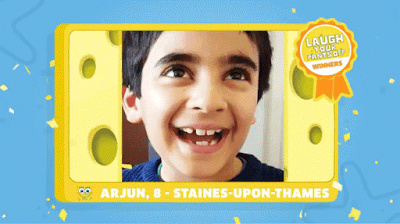 Arjun Bange's video recreating the colourful character's famous cackle will be one of 24 entries to be aired on Nicktoons over the bank holiday weekend. The eight-year-old's funny and enthusiastic impression beat off competition from more than 1,200 entries to be chosen as a winner in Nickelodeon's "Laugh Your Pants Off" competition, which ran from Thursday 24th to Friday 22nd April 2016. Arjun said the things he most liked about his favourite cartoon character was the way he laughs, his yellow colour and that he is really funny - and none more so than in his favourite episode "Survival of the Idiots", when SpongeBob and his best friend, Patrick Star, cause havoc when they get trapped inside Sandy Cheeks' Treedome while the Squirrel is hibernating for the winter. "I didn't know I was going to win, but blimey, I've won," Arjun said. "I was really surprised, but I'm really happy." The youngster also won a fantastic SpongeBob SquarePants goody bag, which included a puzzle, a Pineapple spin game and a SpongeBob bubble umbrella. 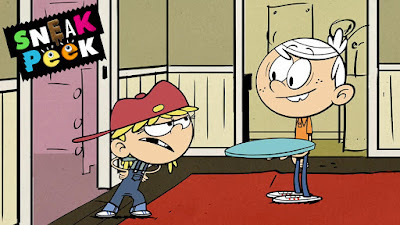 To celebrate Nickelodeon USA starting to premiere and show the networks newest animated comedy The Loud House weekdays at 5:00pm (ET/PT) from Monday 2nd May 2016, Nick USA has unveiled a super sneak peek preview from the shows series premiere episode, "Left in the Dark", which you can watch in the fantastic online streaming video clip here on Nick.com! In the premiere episode "Left in the Dark" (#101a), Lincoln wants to watch the finale of his favorite show, but in order to do that, he must beat each sister to the couch first. In the super sneak-peek, "Operation TV", Lincoln has the perfect plan to get the TV all to himself so he can watch the season finale of his favorite show! To celebrate Nickelodeon USA premiering the brand-new SpongeBob SquarePants episode "The Fish Bowl" on Monday 2nd May 2016 at 5:30pm ET/PT, as part SpongeBob May Premiere Week, Nick USA has unveiled a Sponge-Tastic new sneak peek preview from the all-new episode, which you can watch in the super online streaming video clip here on Nick.com! In the all-new SpongeBob SquarePants episode "The Fish Bowl" (#196a), when Sandy tries to study SpongeBob and Patrick's behavioral patterns, her science experiment goes awry. 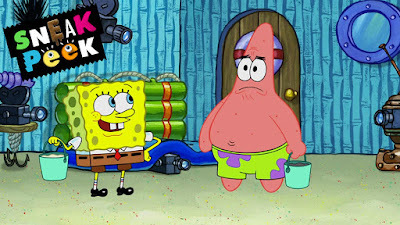 In Nick's all-new sneak peek, titled "Patrick in Charge", Sandy has SpongeBob and Patrick perform an experiment and leaves Patrick in charge! Watch more Game Shakers on Nickelodeon and TeenNick, and play the brand-new Game Shakers game Nasty Goats, available to download now! Created by Hero 4 Hire Creative. Check out more Short Toons on Nick.com and Nicktoons.co.uk! Watch more The Thundermans on Nickelodeon and TeenNick! Catch brand-new episodes of Henry Danger Saturdays at 8:00pm (ET/PT), only on Nickelodeon USA! 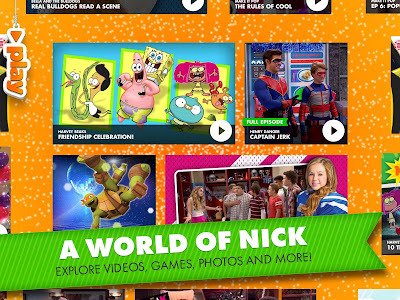 Watch more of your favorite shows and stars on Nickelodeon and Nicktoons! Sascha war unterwegs und es gab wieder viele lustige Versprecher, Tiere die sich komisch verhalten haben und vieles mehr. Guckt euch das mal an. Nicktoons Facts: The Wild Thornberrys was created by Gabor Csupo and Arlene Klasky with Steve Pepoon, David Silverman and Stephen Sustarsic, the third Klasky Csupo collaboration for Nickelodeon. It premiered on September 1, 1998 and ran for 92 episodes over 5 seasons, plus two feature films (The Wild Thornberrys Movie and Rugrats Go Wild) and a TV movie (The Wild Thornberrys: The Origin of Donnie). The voice cast of The Wild Thornberrys included Lacey Chabert (Meg Griffin in the first season of Family Guy) as Eliza Thornberry, Flea of the Red Hot Chili Peppers as Donnie and Tim Curry (Home Alone 2: Lost in New York, The Rocky Horror Picture Show) as Nigel Thornberry. NEW YORK--(BUSINESS WIRE)--Viacom (NASDAQ:VIAB, VIA) today unveiled Vantage Studio Edition, the first data-driven marketing solution purpose-built for the movie industry. Vantage Studio Edition uniquely offers precision plus reach, deploying data to find target audiences while maintaining broad awareness. Using title-level movie ticket purchase data matched with household viewing behaviors, Vantage has tuned its predictive engine to meet the specific needs of studio marketers. Studio Edition can identify the most qualified impressions for a specific movie campaign while also maximizing broad reach and awareness. Vantage Studio Edition has pre-built instant audiences to help studios quickly target specific genres, such as comedy, family, sci-fi, horror, action, and consistent moviegoers, while also enabling marketers to bring their own first-party segments from data management platforms to optimize their media plans. - Exposure to a single television ad increased ticket sales by 70% while no ad exposure on television showed sales 59% below average. - Advertising on Viacom outperformed competitive networks by 72% and when people saw a combination of trailer ads plus Velocity Integrated Marketing, the purchase rate increases 3.7 times. A talented young schoolboy from Derrygonnelly in Fermanagh, Northern Ireland who enjoys performing is to star on national TV after winning Nickelodeon UK and Ireland's SpongeBob SquarePants competition! During the Easter holidays, Nickelodeon invited SpongeBob fans across the UK and Ireland to send them their funniest impression of SpongeBob's iconic laugh as part of Nicktoons' "Laugh Your Pants Off" competition for the chance to appear on TV and to win some awesome SpongeBob prizes, including a signed certificate from Tom Kenny, the voice of SpongeBob! 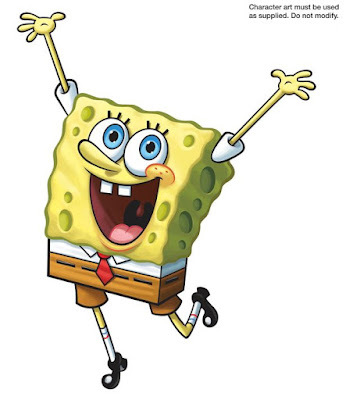 After judging each entry, Nickelodeon has selected Shea Murphy as the winner, and he winning SpongeBob laugh will be shown on TV during a special SpongeBob SquarePants marathon on Nicktoons UK & Eire on Sunday 1st May 2016! It will be Shea Murphy's fifth birthday next Wednesday 4th May 2016, and the exciting development comes as the perfect birthday present for the P1 pupil! Big congratulations on winning and Happy Birthday, Shea! Original source: Impartial Reporter; Additional source: Wikipedia. Viacom (NASDAQ: VIAB, VIA) and Roku Inc. today announced a partnership that enables Viacom to utilize aggregated audience insights from Roku to deliver targeted advertising on the Roku platform! This first-of-its-kind partnership between an over-the-top (OTT) platform and programmer is the latest illustration of the power of OTT advertising, and expands Viacom's addressable capabilities to the Roku Platform. "Viacom's unique partnership with Roku extends our game-changing ecosystem, bringing targeted advertising at scale in a way that – until now – was not available in the premium television environment," said Kern Schireson, EVP Data Strategy & Consumer Intelligence, Viacom. "With this partnership, we can deliver more relevant messages to Roku consumers for products and services that interest them. This is the first time dynamic, 1:1 advertising will be possible as part of a larger linear TV buy. 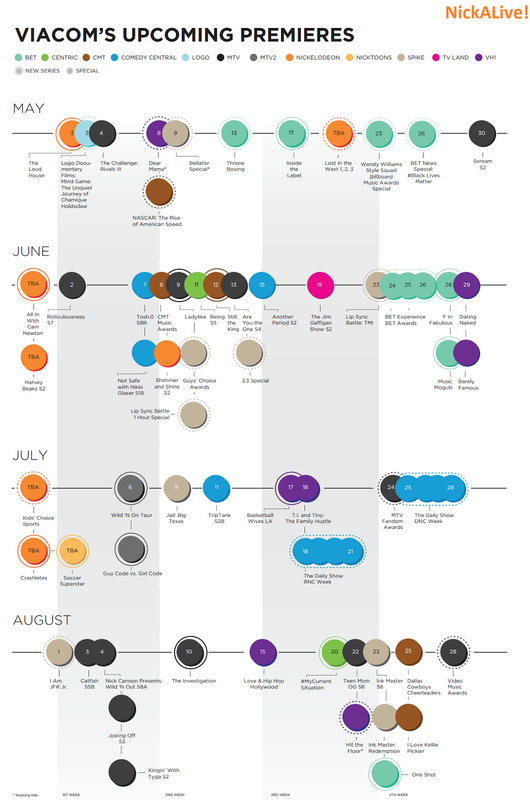 Advertising experiences like this are more impactful for both consumers and marketers." Viacom will be the first programmer to leverage aggregate data from Roku to deliver messages to custom audience segments on the Roku platform. The effort is an extension of Viacom's proven leadership in advanced advertising, whose main objective is to bring advanced digital advertising capabilities to TV platforms. Roku boasts a highly engaged audience. In 2015, Roku users streamed 5.5 billion hours of content. "The beauty of the Roku platform is that it offers full screen, 100% viewable video for advertisers, while also enabling all the targeting, interactivity and measurement of digital," said Scott Rosenberg, VP of Advertising, Roku. "We're committed to helping our publishers more effectively monetize in OTT. As a clear leader in advanced TV advertising, Viacom was a natural partner. Partnerships like this also help ensure the continued growth and vibrancy of free, ad-supported programming for Roku consumers." Roku is the creator of a popular streaming platform for delivering entertainment to the TV. Roku streaming players and the Roku Streaming Stick® are sold through major retailers in the U.S., Canada, the U.K., the Republic of Ireland, Mexico and France. Roku licenses a reference design and operating system to TV manufacturers to create co-branded Roku TV models. Under the Roku Powered™ program, Roku licenses its streaming platform to pay TV providers around the world who want to use the Internet to deliver entertainment services through streaming players. Roku was founded by Anthony Wood, inventor of the DVR. Roku is privately held and headquartered in Los Gatos, Calif.
Viacom Inc. (NASDAQ: VIAB, VIA), the parent company of the Nickelodeon brand, has today, Thursday 28th April 2016, reported financial results for the second quarter of fiscal 2016 ended Thursday 31st March 2016. Philippe Dauman, Executive Chairman, President and Chief Executive Officer of Viacom, said, "Viacom's brands are among the most popular and culturally connected in the world. 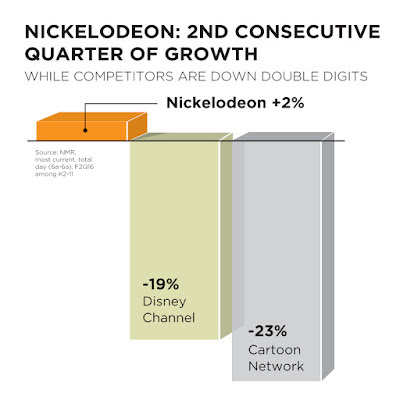 Nickelodeon remains the number one network for kids and many of our other networks have shown sequential improvements in ratings and consumption across platforms. The continuing strength of our brands was validated by our recent renewals with DISH and Frontier on attractive terms. In the past year, we have successfully closed long-term carriage agreements with domestic distributors representing more than 44 million subscribers. Around the world we continue to expand the global reach of our networks, launching several new channels in the quarter. 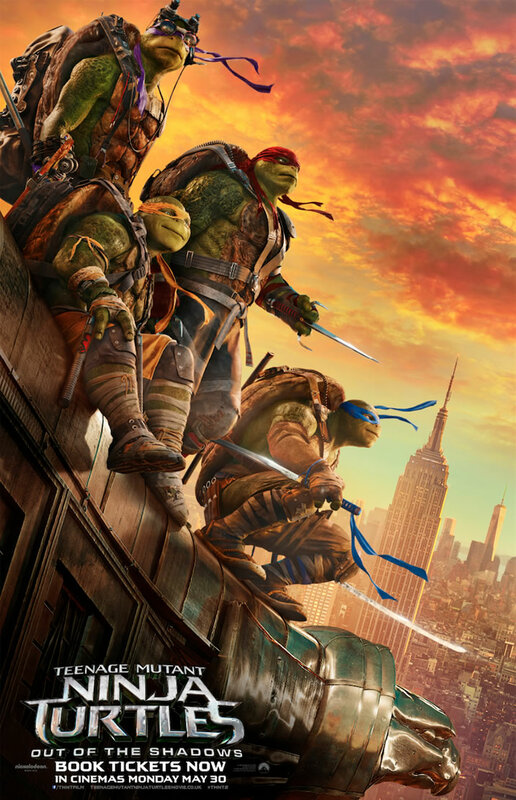 At Paramount, we are looking forward to upcoming blockbusters Teenage Mutant Ninja Turtles: Out of the Shadows and Star Trek Beyond this summer. "We are responding to industry consumption shifts with innovative, thoughtful, and long-term strategic solutions and are generating meaningful results in many important areas, including content creation, data-based audience measurement and distribution innovation. There is much more work to be done, but we see the path to growth ahead and are very optimistic about our future." Quarterly revenues declined 3% to $3.00 billion. Absent an unfavorable 1% impact of foreign exchange, quarterly revenues decreased 2%. Media Networks revenues were $2.38 billion, a decline of 3%. Domestic advertising revenues decreased 5%, as pricing increases were more than offset by softer ratings at some of our networks. International advertising revenues declined 1%, driven by a 7% adverse effect of foreign exchange. Absent the impact of foreign exchange, international advertising revenues increased 6%, driven principally by growth in Europe. Domestic affiliate revenues decreased 2%, reflecting a modest decline in subscribers and a previously disclosed rate adjustment with a major distributor partially offset by rate increases across the remaining subscriber base. International affiliate revenues increased 4%, driven by new channel launches, increased subscribers, and rate increases. Absent a 7% adverse impact of foreign exchange, international affiliate revenues increased 11%. Filmed Entertainment revenues decreased by 1% to $655 million, as an increase in license fees and theatrical revenues was more than offset by declines in home entertainment and ancillary revenues. Excluding foreign exchange, which had a 2% unfavorable impact, worldwide revenues increased 1%. Worldwide theatrical revenues increased 6% to $217 million in the quarter, reflecting revenues from Daddy's Home and The Big Short, both released late in the first fiscal quarter. License fees increased 17% to $240 million in the quarter, driven by the licensing of certain titles for subscription video-on-demand services. Worldwide home entertainment revenues decreased $41 million in the quarter, primarily reflecting lower revenues associated with catalog and third-party distribution titles. Quarterly adjusted operating income declined 29% to $586 million. Media Networks adjusted operating income decreased 11% to $805 million, reflecting revenue declines as well as an increase in programming expenses. Filmed Entertainment adjusted operating loss was $136 million, driven by the performance of certain films released in the quarter. 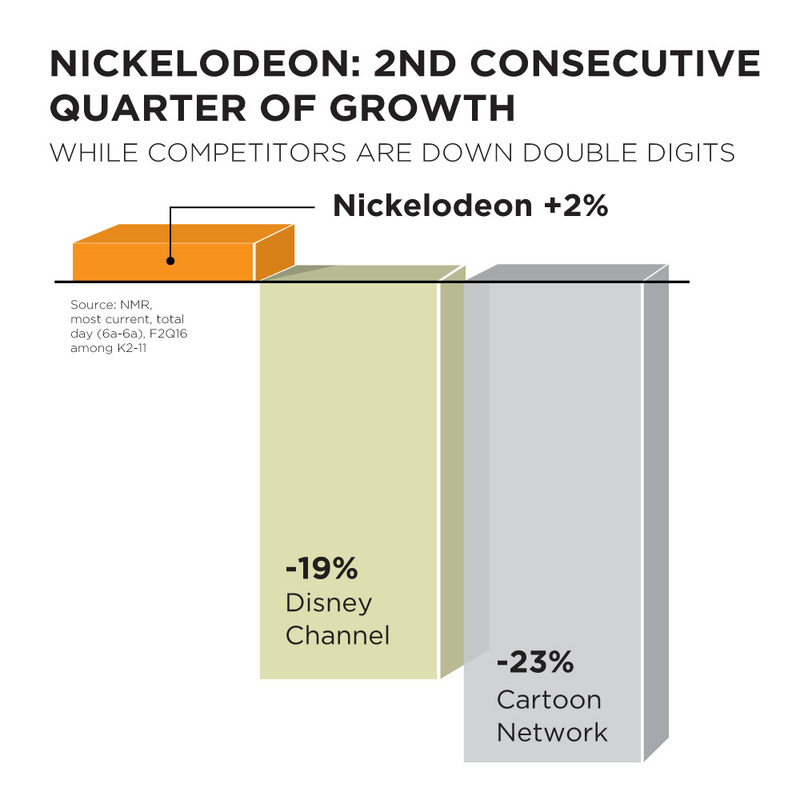 Quarterly adjusted net earnings attributable to Viacom decreased to $303 million. Adjusted diluted earnings per share for the quarter were $0.76. At March 31, 2016, total debt outstanding was $12.53 billion, compared with $12.29 billion at September 30, 2015. The Company's cash balances were $480 million at March 31, 2016, a decrease from $506 million at September 30, 2015. You can read Viacom's press release announcing the company's Q2 2016 (2Q16) quarterly earnings in full, including tables of Viacom's statements and balance sheets, here on Viacom.com. For more information about Viacom and its businesses, visit www.viacom.com. Viacom may also use social media channels to communicate with its investors and the public about the company, its brands and other matters, and those communications could be deemed to be material information. Investors and others are encouraged to review posts on Viacom's company blog (blog.viacom.com), Twitter feed (twitter.com/viacom) and Facebook page (facebook.com/viacom). This news release contains both historical and forward-looking statements. All statements that are not statements of historical fact are, or may be deemed to be, forward-looking statements. Forward-looking statements reflect our current expectations concerning future results, objectives, plans and goals, and involve known and unknown risks, uncertainties and other factors that are difficult to predict and which may cause future results, performance or achievements to differ. These risks, uncertainties and other factors include, among others: the public acceptance of our brands, programs, motion pictures and other entertainment content on the various platforms on which they are distributed; the impact of inadequate audience measurement on our program ratings, advertising revenues and affiliate fees; technological developments and their effect in our markets and on consumer behavior; competition for content, audiences, advertising and distribution; the impact of piracy; economic fluctuations in advertising and retail markets, and economic conditions generally; fluctuations in our results due to the timing, mix, number and availability of our motion pictures and other programming; the potential for loss of carriage or other reduction in the distribution of our content; changes in the Federal communications or other laws and regulations; evolving cybersecurity and similar risks; other domestic and global economic, business, competitive and/or regulatory factors affecting our businesses generally; and other factors described in our news releases and filings with the Securities and Exchange Commission, including but not limited to our 2015 Annual Report on Form 10-K and reports on Form 10-Q and Form 8-K. The forward-looking statements included in this document are made only as of the date of this document, and we do not have any obligation to publicly update any forward-looking statements to reflect subsequent events or circumstances. If applicable, reconciliations for any non-GAAP financial information contained in this news release are included in this news release or available on our website at http://www.viacom.com. All In with Cam Newton - (Exact premiere date TBA): Carolina Panthers quarterback and 2016 NFL MVP Cam Newton takes real kids on the ride of their lives to help make their dreams come true. All In with Cam Newton is produced by Magical Elves with Dan Cutforth, Jane Lipsitz and Newton serving as executive producers. Shimmer and Shine season two - premieres Wednesday 8th June 2016: In season two, twin genies-in-training Shimmer and Shine will embark on more magical adventures with their human best friend Leah, encounter brand-new characters and explore vibrant new locales in the land of Zahramay Falls. Crashletes - (Exact premiere date TBA): Hosted by New England Patriots Super Bowl XLIX Champion and Pro Bowl tight end Rob Gronkowski, the 20-episode viral sports clip series will feature guest personalities from the worlds of sports and entertainment, along with the funniest, craziest clips and user-generated content. The series is executive produced by Rob Dyrdek and Shane Nickerson of Superjacket Productions. BALI, 28 APRIL 2016 - Viacom International Media Networks (VIMN) Asia, a division of Viacom Inc. (NASDAQ: VIA, VIAB), today announced a multi-year Nickelodeon content deal with LeEco, one of the biggest internet VOD platforms in China, giving exclusive broadcast rights for Nickelodeon Kids Choice Awards from the U.S. to subscribers on its SVOD platform, LeEco VIP in China. This will be the first time the U.S. show will air in China, starting from 2016. The licensing deal will also give LeEco exclusive OTT rights for selected Mandarin-dubbed and subtitled Nickelodeon episodes to its base of more than 10 million Chinese viewers who are accessing LeEco’s multiple platforms on a daily basis via multiple screens. 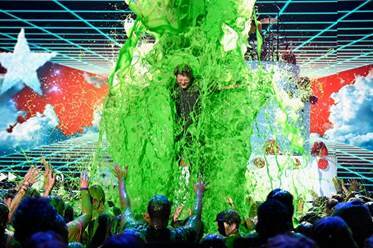 “We are elated to be the first to bring the iconic Nickelodeon Kids’ Choice Awards and welcome their well-established content into China through our platform. Nickelodeon’s content has strong appeal and relevance with the Chinese audience and look forward to showcasing such international children’s programming to our LeEco VIP subscribers,” said Mr. Zhang Zhao, CEO of Le Vision Pictures, President of Eco Entertainment Business Group. LeEco VIP membership refers to the Paying customers of Letv platforms which including PC, mobile, and TV etc. Letv VIP, as the core business of Letv, brings most of the profit for Letv. Different from the VIP service of other video platforms, Letv VIP update its service to VIP 3.0, which combines Content, Experience and Service together in order to provide the sensation of 7-screens content, excellent visual-audio experiences and super return-value. Letv tries it best to fulfill all the requirements of its users by developing the Letv-eco system. BALI, 27 APRIL 2016 - Viacom International Media Networks (VIMN) Asia, a division of Viacom Inc. (NASDAQ: VIA, VIAB), today announced its first Asia distribution deal for Viacom Play Plex, a suite of mobile apps – Nickelodeon Play, Nick Jr. Play, MTV Play and Comedy Central Play – which will debut first in Singapore via a collaboration with Singtel. Packaging details will be announced as part of the rollout at a later date within the second half of the year. In addition, the agreement includes a new licensing deal for MTV China and MTV Live to be launched on Singtel TV’s subscription service in 2016, marking a total of six of its channels on Singtel’s Pay-TV platform. The agreement also gives Singtel linear OTT rights for VIMN’s channels. Viacom Play Plex offers distribution partners a separate mobile Play app for each of Viacom’s major international brands, offering video-on-demand (VOD) access to a range of current and library content, other content including short-form content, games on Nickelodeon Play and Nick Jr. Play, and pre-school music videos on Nick Jr. Play. Designed and programmed to promote discovery, Nickelodeon Play allows kids to watch and play, get direct access to Nickelodeon content they love whenever and wherever. In other markets, Viacom Play Plex comes with an option for distribution partners to take on a live, local linear stream of the relevant channel. Mark Whitehead, Executive Vice President and Managing Director, Viacom International Media Networks Asia, commented: "Viacom Play Plex offers us maximum flexibility in distributing our content as the way viewers consume their favorite TV shows continues to evolve. We are delighted to have Singtel be the first in Asia to launch these apps, which are designed to complement our linear pay TV channels and to allow our existing distribution partners like Singtel to deepen and improve the entertainment experience they offer their mobile subscribers, particularly in the fast-growing mobile TV sector. Ultimately, this positions us to succeed in a world of more personalized entertainment services and greater consumer choice." "We only work with the best content providers and we are excited to be working with Viacom for their launch of Viacom Play Plex in Asia," said Mr Goh Seow Eng, Managing Director, Home Services, Singtel. "With our vast network and open video platform, we are able to provide our Singtel Mobile customers with an innovative user experience that’s adaptable to their viewing habits." Mobile viewers in Singapore will enjoy an intuitive, video-focused user interface and enhanced video player, which reduces loading and buffering times, as well as an algorithmic menu that adapts to their tastes. Apps will include social and sharing components, and will be available in both iOS and Android to download from the Apple App store and Google Play store respectively. Each branded Play app will be localized for each country in which it is made available, both in terms of programming and available content, giving users more ways to access Viacom’s global hits such as SpongeBob SquarePants, Catfish and Lip Sync Battle, as well as local productions. "Viacom Play Plex allows mobile subscribers to watch the TV shows they love from their favorite Viacom brands anytime and anywhere. We believe no other international entertainment company is offering this type of innovation at this scale, serving every major demographic in every major TV market," continued Whitehead. Since the fourth quarter of 2015, the Viacom Play Plex apps have been made available to launch in all of the 180 international territories in which Viacom owns and operates TV channels**. * Nickelodeon Play app was awarded the Outstanding Creative Achievement in Interactive Media – User Experience and Visual Design in September 2013. ** Excluding the U.S. where Viacom Media Networks already offers a range of authenticated mobile apps to support its TV channel brands. * Comedy Central Play, MTV Play, Nickelodeon Play, Nick Jr. Play, Paramount Channel Play, Spike Play and BET Play. Research from Viacom Strategic Insights illustrates the appeal of TV Everywhere (TVE) mobile TV services, allowing subscribers mobile access to their pay TV packages. Almost all respondents to a recent research study said TVE services added value to existing pay TV subscriptions, while more than 9 in 10 agreed they were more likely to stay with their pay TV provider because of TVE. In the U.S., 8 in 10 viewers with access to authenticated TVE apps use them to watch TV daily via mobile, while more than 6 in 10 have watched more TV overall since starting to use TVE. Follow the Nickelodeon Writing Fellowship on Twitter and Facebook, plus, check out these fascinating videos featuring video interviews with participants of the 2013 - 2014 Nickelodeon Writing Program, in which Nick Writing Program alumni talk about their experiences in the program, how the program has helped develop their skills, prepare and inspire them, and to establish connections within the industry! Follow NickALive! on Twitter, Tumblr, Google+, via RSS, on Instagram, and/or Facebook for the latest Nickelodeon Writing Program News and Highlights! Nickelodeon Latin America (Latinoamérica) and Nickelodeon Brazil (Brasil) will premiere the brand-new Nickelodeon Original Movie Rufus on Thursday 28th April 2016! 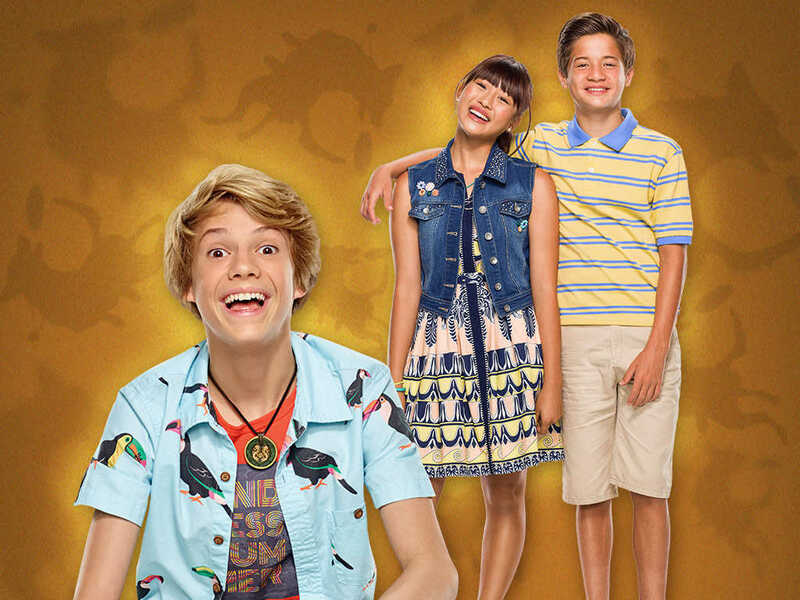 Nickelodeon Brazil (Brasil) will debut Nick's all-new TV movie at 20h30. Ever wondered what would happen if your Dog became a dude? Manny lives the tail in Rufus! In Nickelodeon's brand-new original television movie, Manny has moved to a new school, and is finding it hard to fit in. After wishing he had more friends, Manny finds a mysterious collar and puts it on his loyal dog, Rufus. Suddenly, Rufus is magically transformed into a real boy! Manny's not sure what to do, so he enrolls Rufus in school. Quickly, Manny learns that having a dog-turned-dude by your side is pretty awesome, but it's no walk in the park, either. When the other students notice Rufus's silly dog antics - chasing squirrels, eating without utensils, asking for belly rubs, and catching soccer balls and flying discs with his mouth - he immediately earns school-wide pup-ularity. Manny's jealousy soon gets the better of him when his crush, Paige, takes a special interest in Rufus, but he eventually learns that a Dog's loyalty to his owner always comes first. 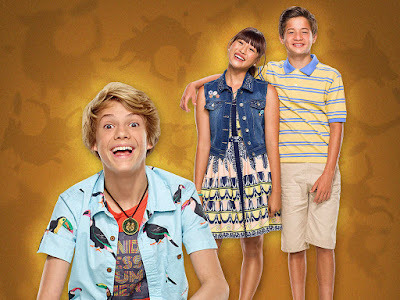 Rufus stars Jace Norman (Henry Danger, Splitting Adam) as Rufus, Haley Tju (Bella and the Bulldogs) as Paige, and Davis Cleveland (Shake It Up!) as Manny. Follow NickALive! on Twitter, Tumblr, Google+, via RSS, on Instagram, and/or Facebook for the latest Nickelodeon Latin America, Nick Brazil and Rufus News and Highlights! Viacom International Media Networks (VIMN) Africa has announced the PAWsome news that Nickelodeon Africa will premiere the brand-new Nickelodeon Original Movie Rufus on Saturday 24th June 2016 at 17:00 CAT! Follow NickALive! on Twitter, Tumblr, Google+, via RSS, on Instagram, and/or Facebook for the latest Nickelodeon Africa and Rufus News and Highlights! Breakthrough Entertainment has unveiled the cast of Nickelodeon's upcoming brand-new live-action series, Ride! Ride (20 x 30') follows the adventures of Katherine "Kit" Bridges when she and her Dad, Rudy, move to England for his new job at Covington Academy, an elite equestrian boarding school. Life at a new school is never easy – particularly when you are afraid to ride - but Kit will be able to handle any challenge she faces thanks to her new friend, TK....who just so happens to be the most stubborn and difficult horse at the Academy. Ride Photo: Pictured: JOSH (Jonny Gray), ANYA (Rameet Rauli), WILL (Oliver Dench), KIT (Kendra Timmins), NAV (Manuel Pacific) and ELAINE (Alana Boden) in RIDE on Nickelodeon and YTV. Matthias Sebastian Clamer/Nickelodeon. © 2016 Viacom International, Inc. All Rights Reserved. Ride will star Kendra Timmins (Degrassi: The Next Generation) as Kit, Jonny Gray (Max & Shred) as Josh, Rameet Rauli as Anya, Oliver Dench as Will, Manuel Pacific as Nav, and Alana Boden (Wolfblood, Mr Selfridge) as Elaine. Oliver Dench is represented by Eamonn Bedford, Rameet Rauli is represented by Simon & How, Manuel Pacific is represented by Rossmore Management, and Alana Boden is represented by Olivia Bell Management. Commissioned by Nickelodeon and YTV and produced by Canada's Breakthrough Entertainment and the UK's Buccaneer Media, the 20×30-minute show, formally titled Let It Ride was created by Jill Girling (Life with Derek) and Lori Mather-Welch (Would Be Kings, Queer As Folk). Executive producers for Breakthrough are Joan Lambur, Ira Levy, Peter Williamson, Michael McGuigan, Nat Abraham and Shelley Scarrow. Tony Wood (House of Anubis) is executive producing for Buccaneer. The series was cast by KM Casting. The series has been shooting in Toronto since January and continues on location in Northern Ireland, and is slated to debut in July 2016 during Nickelodeon USA's 2016/2017 programming season. (London/ Toronto – 9th March 2016) Leading international content production companies Breakthrough Entertainment and Buccaneer Media announced today an Anglo-Canadian co-production agreement with Nickelodeon and YTV in Canada to create a brand new live-action series. 'Ride' (20 x 30') follows the adventures of Katherine "Kit" Bridges when she and her Dad, Rudy, move to England for his new job at Covington Academy, an elite equestrian boarding school. Life at a new school is never easy – particularly when you are afraid to ride – but Kit will be able to handle any challenge she faces thanks to her new friend, TK....who just so happens to be the most stubborn and difficult horse at the Academy. 'Ride' was created by writers Jill Girling ('Life with Derek', 'Satisfaction') and Lori Mather-Welch ('Would be Kings', 'Queer As Folk'). Executive Producers for Canada's Breakthrough Entertainment are Joan Lambur, Ira Levy, Peter Williamson, Michael McGuigan, Nat Abraham and Shelley Scarrow and Executive Producer for UK based Buccaneer Media is Tony Wood. "We love having YTV and Nickelodeon as our broadcast partners on 'Ride'." said Joan Lambur, Breakthrough Entertainment's Executive Vice President, Family Entertainment and Executive Producer. "They both share Breakthrough and Buccaneer's vision for the series which has made this a wonderful collaboration." "We're thrilled to be collaborating with Joan and the Breakthrough Entertainment team on 'Ride'. I'm also delighted to be working with Nickelodeon on another major kid's live action series after the success of 'House of Anubis'"' said Buccaneer Media CEO Tony Wood. "With amazing partners like Breakthrough Entertainment and Buccaneer Media, we are able to tap into new talent, develop globally and jointly create fresh content for kids everywhere," said Bronwen O'Keefe, SVP, Live Action – Development & Production. "We love the fish out of water story about a young North American girl, Kit, trying to fit in at an elite British equestrian school all while a mystery begins to unravel, " said Jamie Piekarz, Director of Content, Corus Kids. "YTV viewers will marvel at the eclectic cast, the stunning scenery and the majestic horses." "Lori, Jill and I want to thank YTV and Nickelodeon for their amazing support." said Shelley Scarrow, Executive Producer and Showrunner. 'Ride' comes on the heels of Breakthrough's last successful collaboration with Nickelodeon and YTV, the popular tween series 'Max & Shred.' One of their most recent productions to air on YTV in Canada was the beloved family movie 'Lucy Maud Montgomery's Anne of Green Gables' starring Martin Sheen. 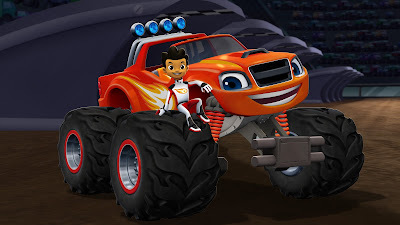 'Ride' is Buccaneer Media's latest major commission and first kid’s live-action production. Tony Wood, one of the UK's most successful drama producers, was previously Executive Producer on Nickelodeon's hit live-action mystery drama series 'House of Anubis'. The company is currently in production with 'Marcella', writer Hans Rosenfeldt's ('The Bridge') first English language drama series, for ITV. Headquartered in Toronto, Breakthrough Entertainment Inc. (BEI) is a world class studio, a leading global producer and distributor of acclaimed primetime comedy and drama series, as well as factual entertainment, documentaries, television movies, feature films, family entertainment and children's animation. As one of Canada's largest television production and distribution companies, BEI has licensed programs to major broadcasters worldwide. A vertically-integrated entertainment studio, Breakthrough is involved in worldwide distribution as well as pre-sales, co-productions and third-party acquisitions. In addition, Breakthrough's digital media division ranks among one of the industry's most respected producers of high quality digital entertainment including ebooks, webisodes and online and mobile games. www.breakthroughentertainment.com. Follow us on Twitter @breakthru_ent. Buccaneer Media is an innovative and diverse content production company set up by Tony Wood, one of the UK's most successful drama producers, in 2013. Responsible for some of the UK's most talked about television brands, Tony Wood was producer on scripted hits including 'Coronation Street'. He is perhaps best known for being co creator of the British structured reality mega hit 'The Only Way is Essex'. Headquartered in London, Buccaneer Media is committed to commercial work of excellence and volume in the fields of drama, reality, comedy and children's programming. At its core, each genre is defined by high quality storytelling and a profound insight into character; this runs throughout all of our work. Buccaneer Media is creating high quality addictive television in the UK, USA, Canada, Australia and Germany. Current and recent Buccaneer Media productions include 'Desi Rascals', Sky Living's first unscripted drama series and 'Marcella' for ITV. Buccaneer Media is also currently developing a TV series based in the UK Sci-Fi movie 'Robot Overlords'. Buccaneer Media is a partnership with Canada's Cineflix Media.